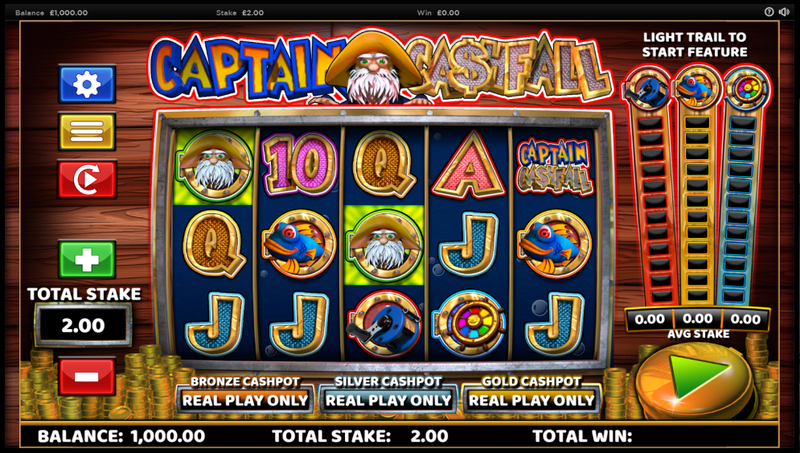 This slot is sending you to sail the seven seas! Captain Cashfall has heard of a windfall somewhere out there on the waves and he wants you to join his search for it. It won’t be just the two of you on this seafaring adventure, though, as his trusted sidekick, his loyal pooch, is wearing his sailing gear and ready to join you. So, it’s full steam ahead to try these online slots and find the cash! Core Gaming is the developers behind this fisherman-themed casino slot game. As the current leaders of HTML5 games, you can be sure that this game is all ready to go on a desktop and mobile devices. The company have been at the forefront of the gaming world for some time now, and that’s all thanks to their eclectic themes and excellent use of development technology, both of which are plain to see in Captain Cashfall. Go ahead, spin these slots games online from Core Gaming. Welcome aboard the captain’s trawler ship! Once you get on the deck you’ll see five reels and twenty pay lines. When you play the game board, it looks like you are peeking out of a ship’s window, and you’ll notice rising bubbles behind the reels. Hit the spin button and the captain will break into a sea shanty! Embark on an exciting journey when you play the best 3D slots today! You’ll notice some usual symbols on the reels, including letters of the alphabet. But there are also some that are marine-inspired. You’ll spot fishing reels, fish and even the captain’s dog sidekick will pop up as a symbol too. There are also a lot of other bonus symbols and features that you should know about. · WILD SYMBOL – There’s a can of tuna that might come onto the board, and this is the Wild of the game. If it ever appears on the third reel it’ll expand across the whole line. · FREE SPINS – The fishwife symbol is the scatter and spinning three or more of them will get you some free spins. · SUPER SLOT FEATURE – If you spin three or more of the dog symbols you’ll get to choose one of the dogs and hope that there’s a nice prize hiding behind it. 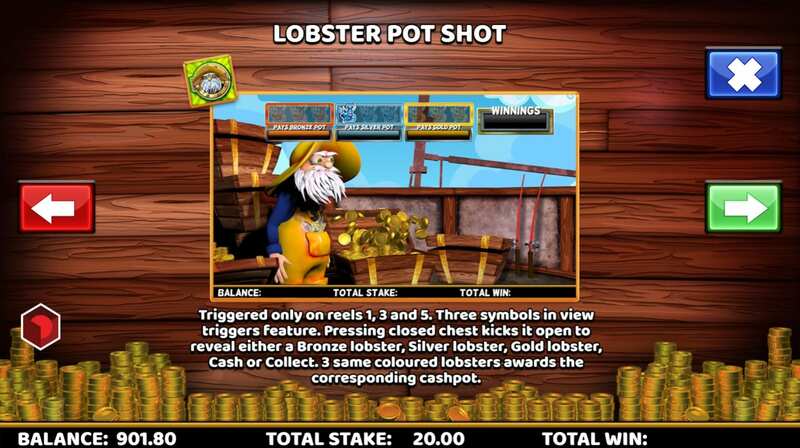 · LOBSTER POT SHOT FEATURE – If you spin three or more captain symbols on the first, third or fifth reel, you’ll get the chance to open a treasure chest. There could be something very valuable inside! The game also features some extra rounds that can contribute to a progressive jackpot. But before you can play them, you need to land enough winning combinations. Unlocking them will bag you some exciting free spins and multipliers. All aboard! There’s plenty of gold out there in the seven seas, and it’s very much worth heading out with Captain Cashfall to try and win some. The game isn’t always too willing to give up its gold, though, but the quirky theme and excellent range of bonus features will certainly keep you spinning until you pull something out of the sea. It might turn out to be the catch of the day! If you enjoyed Captain Cashfall why not try Bar Star.